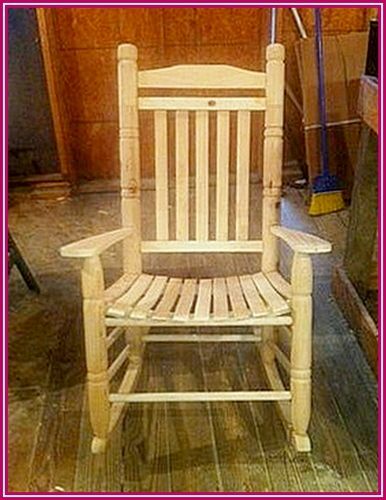 Nice and comfortable looking rocker. Is this from plans? Looks like a relaxing chair for sure, well get many hours of use I bet:-) Is there plans available for it? There was no paper pattern I looked at a chair at the feed store and built this one. There was no paper pattern I looked at a chair at the feed store and built this one.i looked the internet over for plans and haven’t found any yet. So you looked at this chair once, in a store and then built it from your Memory? Great rocking chair. Impressive to do it without plans, especially to get it to sit neither too far back or forward (I’m building one from a plan right now and finding that part pretty tricky).